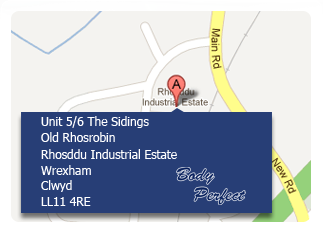 Established in 1998, Body Perfect is proud to serve our valued customers as the leading independent accident management centre in Wrexham. 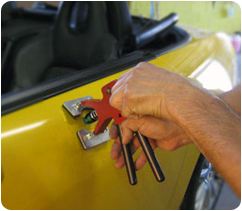 We offer a complete range of automotive repair services that help to keep your vehicle in a safe and roadworthy condition both inside and out. Car body repairs in Wrexham are our speciality and we are able to undertake all types of accident repair work at our state-of-the-art bodyshop. Body Perfect uses the latest trade practices and innovative industry equipment to bring you outstanding repair work at competitive prices. Use Body Perfect for car repair in Wrexham and enjoy the talents of time-served body repair specialists and technicians who understand the demands of the modern automotive marketplace. We continually invest in training and technology to bring our customers a fantastic all-round service unrivalled in the local North Wales area. We understand that there will be occasions when bringing your vehicle to our workshop won't be possible. That’s just one of the reasons why Body Perfect offers convenient mobile car repairs in Wrexham that offer complete solutions at the times where you need us most. 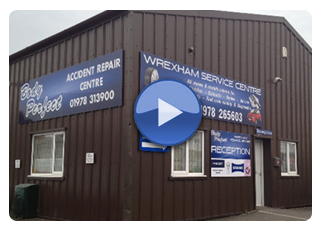 For complete garage services and mobile car repairs in Wrexham, contact your automotive experts at Body Perfect today. Wrexham Website design by Smart Local Media.